I don’t know about everyone else, but this changeable weather is driving me crazy!! It’s so hard to know what to wear when it’s sunny one minute and raining the next! I have been living in this long line coat from H&M since picking it up a few weeks ago and I thought I’d share it here today, as it’s such a great transitional piece. I teamed it with a pair of Zara skinny jeans and a fine knit from H&M and managed to snap a few photos during a brief sunny spell! The jacket is so easy to wear and it instantly dresses up a casual outfit. I think it would be lovely over a shorter dress or skirt too and I’m looking forward to styling it in different ways over the summer. 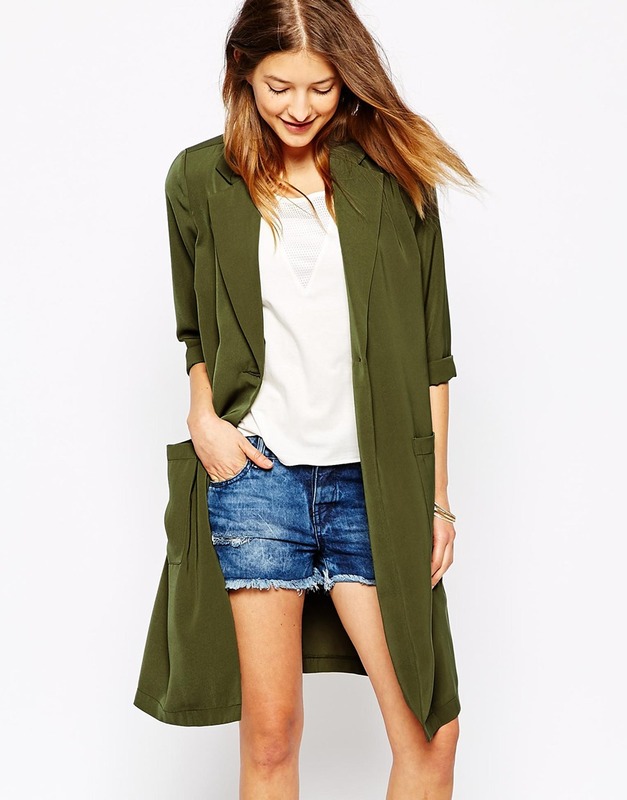 I can’t find the exact coat online but here’s a similar style from Vero Moda on ASOS. My shoes are from Penneys last year (well worn!) and the bag is Caterina Lucchi at Clerys.